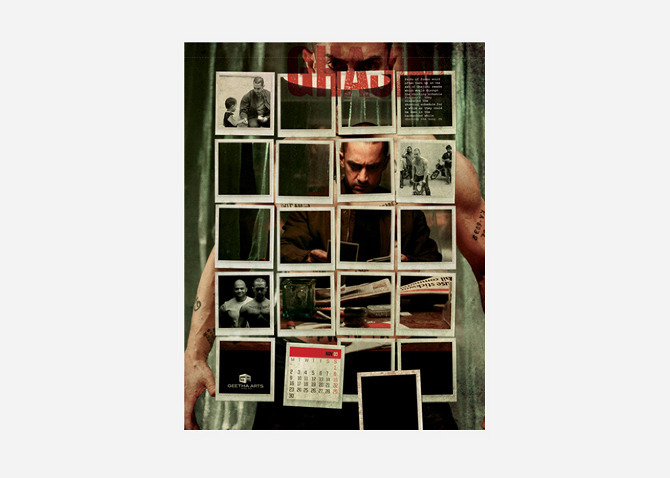 Promotional Calendar to promote Ghajini, a Bollywood film based on short term memory loss, where the lead character played by Amir Khan uses polaroids pictures and tattoos to aid his memory. Written and directed by A. R. Murugadoss and produced under Geetha Arts, it is a remake of Murugadoss's own 2005 Tamil film. Marketing Communication / Promotional Giveaway, Temporary Tattoo Set.